IT WAS MY HONOUR to chair the judging panel for the self-published category of this year’s Australian Photobook of The Year Awards. The winner was Jordan Madge for his book ‘Red Herring’, which he both photographed and designed. 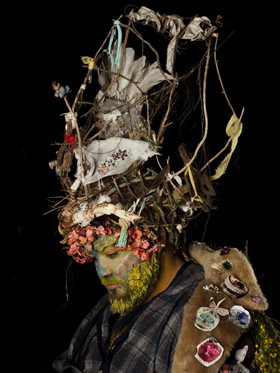 Jordan Madge is a 21-year-old artist with a Bachelor of Photography from Photography Studies College, Melbourne. His book suggests rather than tells in a way that engages the viewer’s own imagination. Its narrative is open; you are aware that a girl has disappeared, but you have to piece the story together through a combination of forensic enquiry and imaginative reconstruction. Consequently, the story will be a little different for every reader: a truly creative process involving an imaginative partnership between artist and reader. The judges for the award this year were Des Cowley (Rare Printed Collections Manager, State Library of Victoria), Alison Stieven-Taylor (freelance photography writer), Isobel Parker Philip (assistant curator of photographs, Art Gallery of New South Wales), Paul McNally (publisher, Smith Street Books), Heidi Romano (founder, Photobook Melbourne festival). The award is generously sponsored by Momento Books and organised by Libby Jeffrey. Photo © Nathan Larkin (from left to right): Alasdair Foster, Jordan Madge, Heidi Romano and Libby Jeffrey.